Tue, October 2, 2018 7:30 P.M.
Tickets on sale September 7, 2018 at 10:00 a.m. Exploring little-known, behind-the-scenes work in hospitals and the all-too-human lives of doctors, Dr. Sandeep Jauhar is a practicing cardiologist and author of two bestselling medical memoirs, Intern: A Doctor’s Initiation and the “extraordinary, brave and even shocking” (New York Times) Doctored: The Disillusionment of an American Physician. 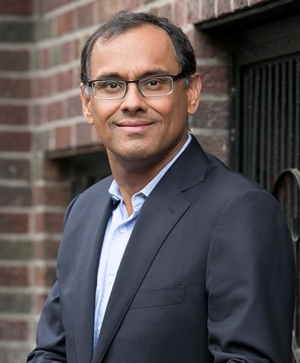 Jauhar is a frequent contributor The Wall Street Journal, Time, NPR, and MSNBC, and has written about medicine for The New York Times for more than 20 years. In Heart, Jauhar weaves his own work with historical research and the findings of groundbreaking new technologies to tell the story of our most colorful yet inscrutable organ.